The adoption of the Sustainable Development Goals (SDGs) in 2015 has made a U-turn in how organizations and companies perceive a business model that has been used for almost three decades. The industrial business model, that is based on a linear approach and the depletion of scarce natural resources and all-for-profit attitude, has become outdated due to its inability to address the environmental and social challenges the 21st century world is faced with. In fact, these challenges have been generated by the underlying faults of the industrial business model that has not taken into account possible negative consequences of depletion of natural resources, exhaustion on the planet and human factor. But how the adoption of the SDGs can redirect organizations to deploy more sustainable business models? What are the benefits of integrating the SDGs in a business strategy? Does the SDGs alignment guarantee an improved financial performance as well? These questions are common among organizations that are still indecisive and uncertain whether they should step on this new uncharted territory. Is the equation: “SDGs alignment = Benefits” valid? The Sustainable Development Goals (SDGs) are designed to move the world to a sustainable future by addressing and fighting off shared global challenges related to poverty, inequality, climate, environmental degradation, prosperity, and peace and justice. Yet, apart from governments, organizations and companies as well as the 3rd sector and civil society are to play a crucial role in their adoption and implementation. But why should they go for it and invest in the adoption of SDGs? The 2017 Business & Sustainable Development Commission report Better Business Better World, has stated that “achieving the Global Goals in just four economic systems could open 60 market “hot spots” worth an estimated US$12 trillion by 2030 in business savings and revenue”. These four economic areas are food and agriculture, cities, energy and materials, and health and well-being. More than one year after this report was made public, Trucost has announced the results of the inaugural application of its SDG Evaluation Tool revealing that 13 companies that participated in the tool application generated almost $233 billion of SDG-aligned business revenues in 2017 which is equivalent to 87% of their total revenues. This result proves that by adopting and implementing the SDGs in their strategy, organizations can achieve better financial results in addition to other benefits. 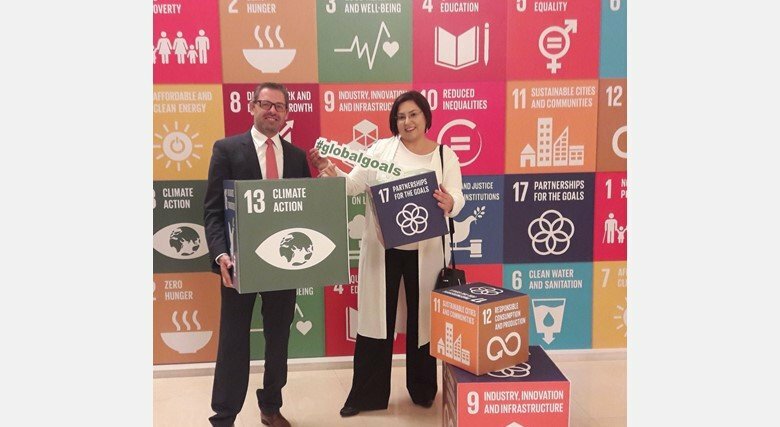 With solid evidence emerging that the SDGs can aid organizations and companies in generating hundreds of billions of dollars of revenue and creating more resilient and sustainable business models, there is a hope that more and more organizations will bravely and resolutely embrace the SDGs and ultimately help their realization. The global progress towards the SDGs can be found on the SDG-Tracker which was launched on 28th June 2018. The challenges have been here for quite some time now and if organizations do not react in time, they risk losing a huge opportunity to embark on the trajectory of sustainable longevity and growth. The time to adopt the SDGs is now.